Coastal defence campaigners for Happisburgh are taking their fight overseas in a bid to stop the village from crumbling away. After council officers this week said a further bid for government funds to pay for a £2m sea defence project would be “futile”, three coastal ambassadors will travel to Brussels to try and get European backing. Campaigners are confident a meeting at the European Commission about the EUrosion Project, which aims to draw up a cross-country strategy to manage eroding and flood-prone shorelines, will be successful. North Norfolk MP Norman Lamb, Malcolm Kerby, co-ordinator of the Coastal Concern Action Group, and Peter Frew, coastal engineer for North Norfolk District Council, will be part of discussions with EC representatives on October 20. They hope sizeable loans from European banks and new legislation, which will force the British Government to support coastal communities, will stop more properties being claimed by the sea. 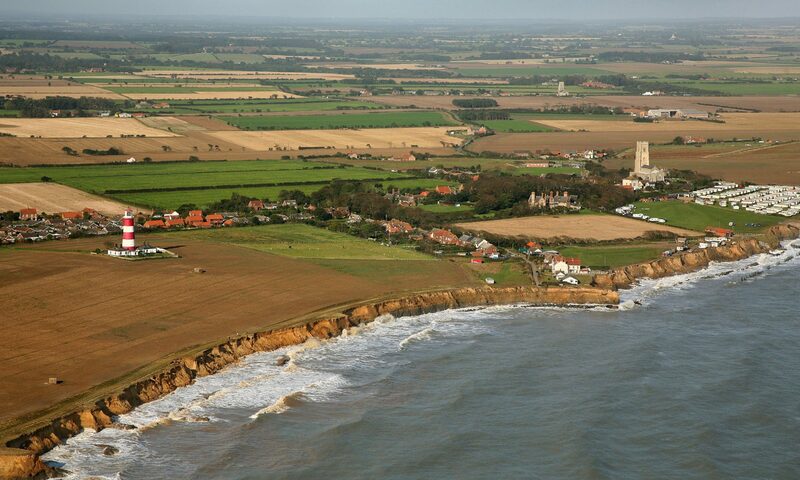 Mr Kerby said the get-together was not a last-ditch attempt to halt Happisburgh’s rapidly-eroding cliffs. The EUrosion scheme, run by the National Institute for Coastal and Marine management of the Netherlands, was set up in 2001 to form policy recommendations for the EU, national, regional and local authorities. Mr Kerby added that the Government would have to listen to new national strategies, due to be im”appropriate and ecologically responsible coastal protection measures for coastal settlements and cultural heritage”. Happisburgh’s cliffs, which in some places have been eroding at speeds of up to 10m a month, fail a government points system for funding. Liberal Democrat MP Mr Lamb, who organised the Brussels meeting, said there was also a possibility that Happisburgh and other coastal villages could benefit from loans from European investment banks. New North Norfolk Conservative prospective parliamentary candidate Iain Dale yesterday called for more government support for coastal communities at the party conference in Blackpool.